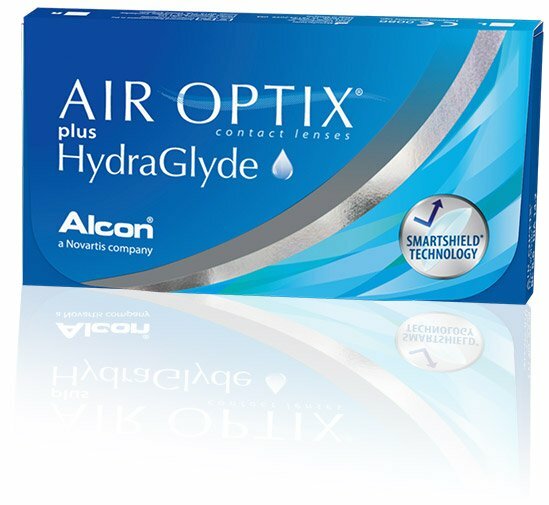 More specifically, AIR OPTIX® plus HydraGlyde® contact lenses bring together two advanced technologies designed to provide long-lasting lens surface moisture and deposit protection. HydraGlyde® Moisture Matrix: Attracts and maintains surface moisture on the lens through the end of the day. These are the first and only contact lenses to feature two advanced technologies, SmartShield® Technology and HydraGlyde® Moisture Matrix, to help provide excellent deposit protection, and support long-lasting lens surface moisture. When used according to your eye doctor’s instructions, monthly replacement contact lenses are a healthy option for your eyes. If your eyes don’t look healthy, feel healthy or see well, schedule an appointment for an eye exam as soon as possible.